Bhagavad Gita is one of the greatest theological treatise of Hindu. There is the main theory of all the Upanishads underlying in the great book. So every Hindu should read or hearing the scripture with draws attention. 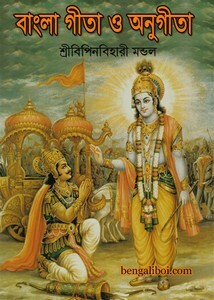 Hearing or reading the Gita with devotion, be able to get pure wisdom and this knowledge can give freedom to our soul. Collect the Bangla Geeta as pdf.